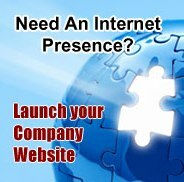 Need a website to market about fashion products, clothes, sarees or beauty products. Want to sell online, want to have a catalogue online for your products. We can offer you website design services which can help you to market about your products on the internet, with little budget, you can setup your own ecommerce portal where you can sell sarees, salwar suites, lehnga cholis, tshirts, lingerie and other items. We can integrate credit card payment options for your website for both domestic and international sales, so why wait, start your own fashion website and start selling online.